How will Proposed Changes to CMS Telehealth Reimbursement Affect Adoption? Proposal includes enhancements to the Star Ratings methodology, which include updating the cut-point determination methodology as well as adjustments for Star Ratings in times of uncertainty, such as hurricanes. Under the proposed changes, starting in 2019 in Medicare FFS, CMS will reimburse for virtual check-ins, evaluation of patient submitted photos, and prolonged preventive services regardless of patient location and care facility. Our recent report, Telehealth Beyond the Hospital, provides a detailed analysis of the telehealth market as a whole, but we felt it prudent to prepare a supplemental post to give a brief examination of how these rule changes could potentially impact the provision of healthcare services. Telehealth services have previously seen limited implementation by MA plans because they have been traditionally classified as services covered by “supplementary medical insurance.” These new rule changes shift the classification of telehealth services to the “basic benefits” category. We have witnessed lagging adoption rates of telehealth technologies over the last several years, and view the inclusion of these services into the basic benefits category as a necessary step to increase their rate of use. This isn’t happening in a vacuum and is in line with the broader push to promote telehealth services as viable alternatives and supplements to traditional care options. Recent surveys have shown that patients are growing more and more amenable to remote care options, especially if it reduces their out-of-pocket costs. The opportunity cost of non-reimbursed care is one of the primary barriers to provider adoption of telehealth services, and by removing this barrier we will hopefully see further alignment between providers and patients on this issue. We see this alignment as a part of the greater industry shift towards value-based care (VBC). As we noted in our Patient Relationship Management (PRM) Market Scan Report, engagement was one of the areas where adoption of these new technologies for VBC was exceeding expectations. Increased reimbursement for telehealth should continue this positive trend and hopefully allow for the realization of some PRM benefits. We predict that the CMS rule changes will encourage diversified managed care organizations (MCOs) to expand their current commercial telehealth contracts to their MA business and also potentially drive the adoption of telehealth offerings among that trend. These new rule changes have a large potential upside for all players in the telehealth market, but it is important to note that telehealth adoption has been incremental over the last several years and there is no reason to predict a stark diversion from that trend. Vendors looking to capitalize on this incremental market growth are going to have to navigate the differing needs of commercial and Medicare providers. For commercial providers, telehealth is seen primarily as a cost-savings and efficiency tool. For Medicare providers, they are looking most closely at telehealth as a way to promote post-acute care management and patient engagement. To effectively sell to Medicare providers, vendors are going to have to tailor their tools and pitches to hit on the appropriate pain points. As the costs of chronic condition management skyrocket, looking for innovative telehealth solutions is of paramount importance. Reclassification as basic services and simplification of the reimbursement process will certainly help vendors supplying these solutions overcome potential buyer uncertainty on the ROI of their products. The most important takeaway from these rule changes from an HCO perspective is that the future of value-based care is arriving quickly. HCOs need to prepare for this future by refreshing their care delivery strategies, especially as it relates to primary care. The primary care environment is changing, and HCOs need to closely examine what they need to provide in terms of physical locations, providers, and services for their patient populations. They then need to craft strategies to meet these evolving requirements. This webinar complements the release of our Insight Report, Capturing Patient Experience: Challenges and Future Needs. The webinar includes a short presentation and a longer Q&A with report author Brian Eastwood to answer audience questions about the report and broader market for capturing and improving based on patient experience data. To learn more about the report or to purchase, please click here. To receive the slides, please fill out the short form on or below the video. 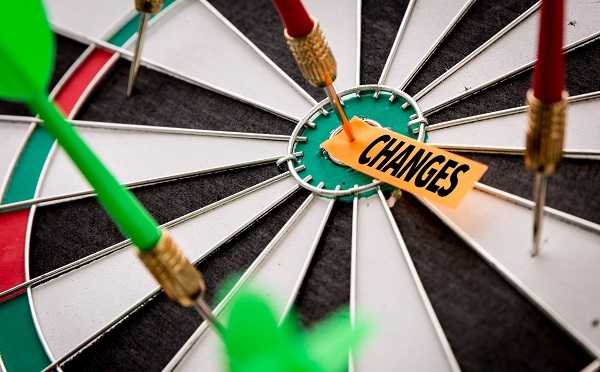 The concept of behavior change, previously a footnote at best in patient engagement conversations with healthcare stakeholders, increasingly represents a key theme in those talks. Providers, payers, employers, and health IT vendors all acknowledge the importance of helping patients take specific actions to improve clinical outcomes, lower healthcare costs, and improve overall quality of life. The topic even came up at HIMSS18. That said, behavior change is hard. Fast-food burgers cost much less than salads. Modern America prioritizes cars over bicycles and pedestrians. Alcohol and prescription drug advertisements are everywhere. Treatment is easier to obtain, and pay for, than prevention. Phrases like “no pain, no gain” make exercise seem like a chore, not an enjoyable activity. A recent New England Journal of Medicine Catalyst web event (available on demand here) discussed the challenges and opportunities associated with creating, scaling, and sustaining behavior change. Here we highlight five major points from the event’s speakers and offer our recommendations about where patient engagement solutions could help. To best encourage behavior change, organizations must push as much as possible to patients – information, products, services, external programs, and so on – instead of expecting them to seek these things on their own. Let patients be curious. Physicians often scowl at patients who bring their own research to medical appointments, then take another sip from their coffee mugs that read, “Please do not confuse your Google search with my medical degree.” But these patients want to engage, to understand their options, and to have a conversation. This is especially true for patients with chronic conditions, where the answer to a question is unlikely to emerge right away. Improve education. 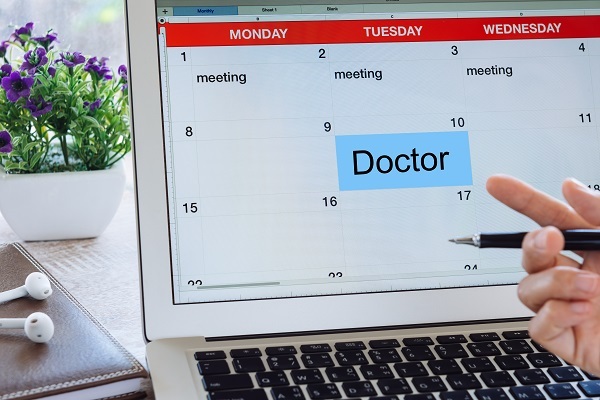 Amid 15-minute appointments, physicians tend to fall back on medical jargon, which only reinforces healthcare’s paternalistic power dynamic. Important details also get glossed over – the meaning of “1 in 5 chance,” for example, or the math behind calorie intake and weight loss. Finally, conversations may not include family members who unintentionally influence poor behavior through their own choices. Use different language. Beyond stripping conversations with patients of jargon, medical professionals need to think about the words they use. Losing weight is not about willpower, discipline, and hard work. Eating chocolate is hardly the moral equivalent of cheating on an exam – and it’s an opportunity to learn, not scold. Meanwhile, admitted patients rarely have the wherewithal to describe pain in clinical terms such as localized, inflammatory, or chronic. Embrace shared decision-making. If physicians and patients alike modify clinical relationships to accommodate shared decision-making when the stakes are low, then they will be more comfortable with the concept when the stakes are high. Shared decision-making also encourages a process that is less about dictating what patients must do and more about offering them guidance to discover what they should do, so that patients are better empowered to make their own decisions. Remove barriers. Whether it’s enrolling in a 401(k), adding a tip to a restaurant takeout bill, or donating to the Red Cross via text message, people are more likely to take action when most of the work is done for them. To best encourage behavior change, organizations must push as much as possible to patients – information, products, services, external programs, and so on – instead of expecting them to seek these things on their own. We recognize that many healthcare organizations are unlikely to address these five efforts until healthcare’s reimbursement models shift from volume to value. We also recognize that most vendors as well as provider/payer Innovation Centers are unlikely to build the tech to support these efforts until that shift. As far as the business of healthcare is concerned, helping patients change their behavior when it is medically beneficial to do so will only be viable when it pays better (and requires less administrative burden) than simply bringing patients in the door time and time again. We also recognize that while change comes slowly to healthcare, it is coming. Providers, payers, and even employers are testing value-based care models. The vendors profiled in our previous condition management and patient relationship management reports offer technology to encourage effective patient engagement within VBC models. Above all, the conversation about patient behavior change, and its larger role in supporting VBC, is getting louder. The recommendations discussed here will help stakeholders begin to explore their options for better empowering patients to make more informed decisions about their health and wellness, with the end goal of making behavior change a bit less difficult than it needs to be. Patient engagement has come a long way for those organizations looking to move beyond early models of the patient portal propped up by meaningful use – but it still has a long way to go. Patient relationship management is more than just CRM for healthcare, and vendors from numerous healthcare core competencies all approach PRM from different perspectives. Market fragmentation will limit widespread PRM adoption for the next 24 to 36 months – but adoption will be methodical and deliberate, not slow. About 18 months ago, Chilmark Research published a report encouraging the healthcare industry to push patient engagement technology beyond the portal. Our report outlined how existing solutions were not ready to support the types of engagements (frequent, bidirectional, mobile, and increasingly virtual) outside the traditional healthcare setting that are necessary to provide coordinated, value-based care to patients with varying degrees of health status and technological expertise. We predicted it would take until 2020 for solutions to support this level of engagement. By 2018, we expected to be entering an interim phase broadly defined by pilot programs, incremental improvements to functionality, and increased interest from regional healthcare organizations (HCOs) and other “smaller” players. Well, 2018 is here, and our expectations have mostly been met, as we detail in our forthcoming report, Patient Relationship Management: Higher Stakes Than CRM (Update: Available now! The report can be downloaded by CAS subscribers or purchased a la carte). While adoption has been slower than anticipated, we have been surprised at the pace of improvement, which has been driven in large part by the emergence of vendors approaching engagement from different perspectives. PRM adoption will remain incremental over the next 24 to 36 months. However, the pace of adoption will be methodical and deliberate, not slow. Due in large part to EHR implementation motivated by meaningful use, the portal has driven and enabled patient engagement efforts over the last decade. But the EHR’s original role – capturing data at the point of care to streamline billing – does not on its own lend itself to a better engagement experience, especially for engagements that do not constitute billable encounters. That’s a major reason only one in four patients access their health data electronically even though nearly 90% of HCOs offer them the ability to do so, according to Government Accountability Office data. Shift to value-based care models and risk-based contracts (from both public and private payers). Pressure to better manage (or even prevent) chronic conditions. Rapid consumer adoption of mobile technology for both personal and professional use. Increased patient responsibility for premiums, deductibles, copays, and other out-of-pocket costs. Importance of patient acquisition and retention, especially amid HCO merger and acquisition and in competitive markets. To provide a complete engagement solution, information should flow freely among the stacks. And information should be comprehensive: Care plans, in-network service eligibility, medication reminders, synced device data, care gaps / social determinants of health, intake forms, and specific condition management interventions – the list goes on. Yes, PRM uses predictive modeling to identify patients to target with products or service offerings, as CRM does. Yes, PRM measures the downstream results of these targeted offerings and lets HCOs modify engagements accordingly, as CRM does. However, CRM’s support of the “customer journey” is largely limited to the products, services, and people that a particular company (plus its closest partners) has to offer. To support the “patient journey,” PRM must extend beyond what an HCO traditionally offers. It must intersect with patients’ needs outside of the HCO setting, in between care episodes, as they live their everyday lives. 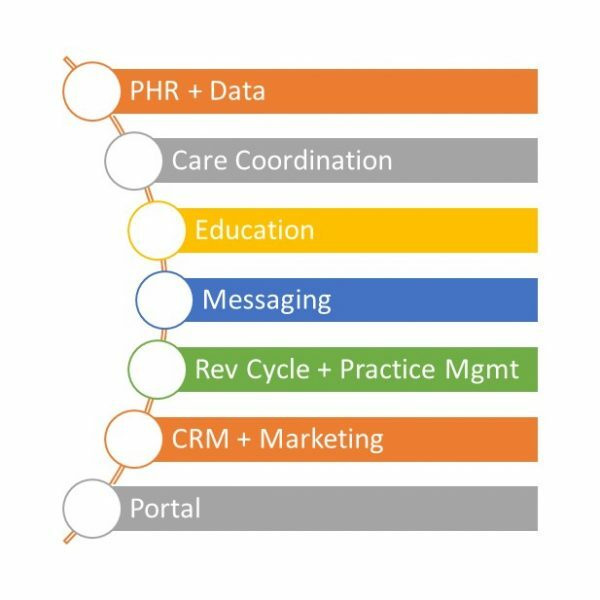 As noted, vendors’ efforts to support the patient journey typically focus on one of the seven sub-segments of engagement functionality. This has caused substantial fragmentation: Not only is there no dominant vendor across the sub-segments (out of at least several dozen PRM vendors in all), there is no dominant sub-segments of vendors as a whole. This high degree of fragmentation is set to impact the PRM market over the next 24 to 36 months in three key ways. One, PRM adoption will remain incremental. However, we would describe adoption as methodical and deliberate, not slow. HCOs will look for solutions that address clear patient engagement problems, whether it’s low scores on quality metrics, poor outcomes after elective surgeries, or large and disengaged prediabetic populations. HCOs will want vendor partners for pilot projects – but they will want mature partners for fully baked pilots. The process of throwing projects to the wall to see if they will stick will be left to internal innovation centers or early-stage startups working with affiliated incubators. Two, PRM vendors will fill the gaps in their solution sets in order to demonstrate that maturity. Some vendors will opt for internal product development – such as EHR vendors continuing their pivots toward analytics, care management, and population health management. Most, however, will focus on partnership with leaders in other core competencies (particularly education, messaging, and personal health record management) as a way to fill these gaps. Three, with both the appetite for IPOs and the prospects of unicorn-like growth softening, many single-function PRM vendors will face the choice to get acquired or go out of business. (To be fair, the same is true of point solution vendors across the entire digital health landscape.) This uncertainty may temper HCO enthusiasm to invest in an unproven vendor – or one that has succeeded enough to catch the eye of potential buyers. These PRM market trends suggest that our prediction from the fall of 2016 holds true in the winter of 2018. We are still more than two years away from widespread adoption of comprehensive patient engagement solutions that can support coordinated, value-based care. Meet patients where they are. The industry is getting there – and, admittedly, faster than we had anticipated 18 months ago. Bidirectional messaging and appointment scheduling, two of the biggest “asks” that patients have, are widely available in PRM solutions. Help patients manage their health and wellness on their own terms, outside the HCO setting. This has proven more difficult. PRM is making strides in these areas, by offering access to care plans and integrating medical and fitness devices, but support is neither widespread (not all vendors offer it) nor universal (not all vendors that offer it do it the same way). Plus, mere access to a care plan is not the same shared responsibility for a care plan – which is also not the same as self-sufficiency. Progress has been made, but PRM vendors and HCOs still have work to do to meet patients’ needs. Our report provides many more thoughts on what it will take to make that happen. In the meantime, we welcome your thoughts.